Sunday, August 20, 2017 Successful operation of Toyaz Gautam Previously, the medical camp was held by Kosish Healthcare Foundation. They checked the health condition of each child. Due to the absence of equipment, three children were called in BPKIHS (B.P. Koirala Institute of Health Sciences) for further checkup. 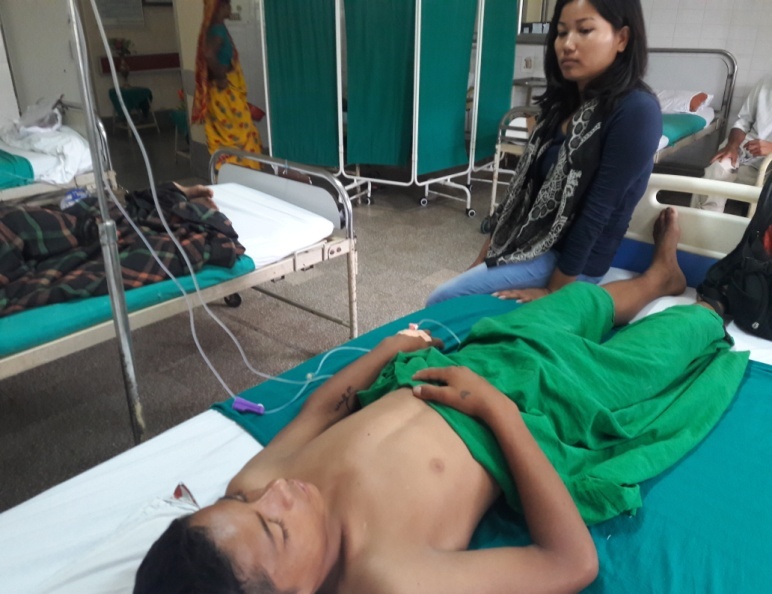 Among the three, a child name Toyaz Gautam from Duhabi Children home was admitted to hospital for operation of hernia yesterday in the afternoon and today he had his operation around 11 o’clock. He was handled by the office manager of Duhabi home. The manager overall took the responsibility of the child by looking after him the whole day and night. He had his successful operation today and now he is taking rest. The Duhabi office manager is handling other responsibilities in the hospital. According to the information, the medical treatment is being serviced by the foundation itself and some part from Duhabi home as well.